Make an impression with one of our most popular designs! 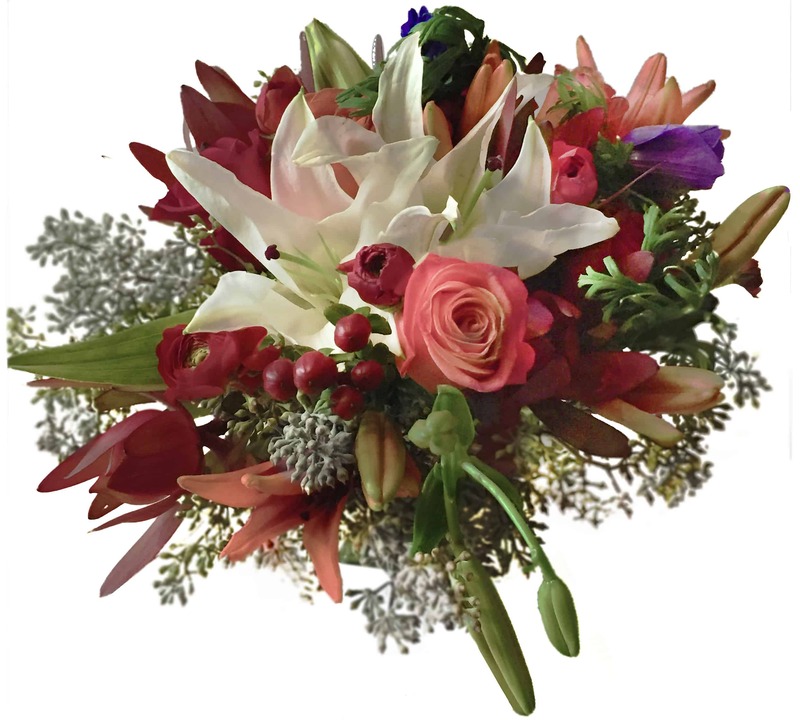 This exotic arrangement features a cornucopia of fresh tulips, exotic lilies, our famous circus roses and abundant flora to compliment the fall season, always a source of delight. It's a rainbow of colors that are sure to brighten anyone's day or add a breath of life to any room in your home or office.